Oh boy! Billy got present from grandpa: kinder potato GARDEN! 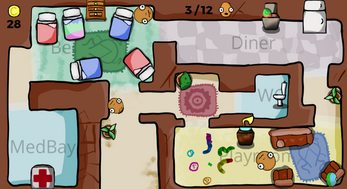 In this game you have to grow as many potatoes as you can (but seriously, 12 is enough)! Many potatoes means many problems! Left mouse button on potato and drag, on refrigerator or toilet to, erm, refill. 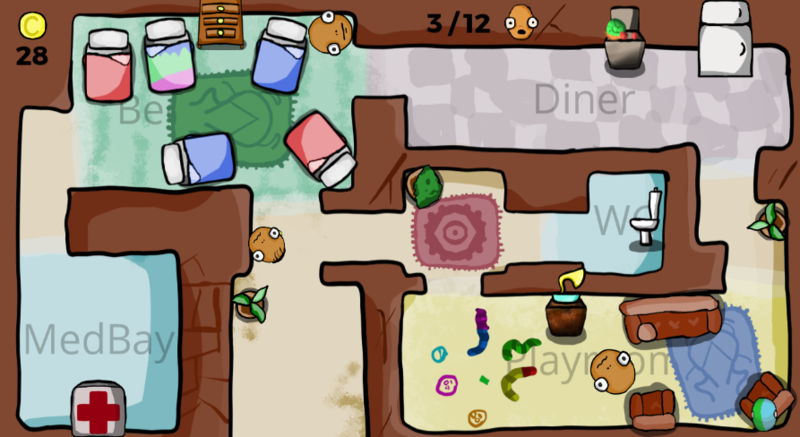 To restore potato's stats it must be placed in correct room (bedroom for energy etc). Some rooms can damage other stats (medbay is not fun, for example). Unhappy potato losing health and dies eventually. Keep it happy and warm. Also, try and try to find best tactics.